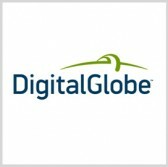 Maxar Technologies‘ DigitalGlobe business has received a potential five-year, $7M contract from NASA to provide high-resolution commercial electro-optical and synthetic aperture radar satellite imagery for Earth observation studies. Under the blanket purchase agreement, the space agency will leverage DigitalGlobe’s 100-petabyte imagery library and Geospatial Big Data platform and satellite data from the WorldView constellation, Maxar said Wednesday. WorldView satellites are equipped with various sensors and the Cloud, Aerosol, Water Vapor, Ice, Snow or CAVIS atmospheric instrument, which refines images taken through natural obscurants such as haze, soot and dust. Earth science researchers will also use imagery from the RADARSAT-2 SAR satellite of MDA, a Maxar subsidiary. Maxar Chief Technology Officer Walter Scott said DigitalGlobe’s satellites and their multispectral and CAVIS sensors will allow NASA to demonstrate the impact of climate on Earth. He added that Maxar will continue delivering 30-centimeter and superspectral commercial satellite imagery to NASA to advance studies in Earth science. The BPA extends the 17-year partnership of DigitalGlobe and NASA for Earth science research.